Well the title of today's post is exactly where I am today! I'm on cloud 9 because I've won the August PTI Guest Star Stamper Contest for best use of the On My Couch set with this entry! OMG, I can't believe it! So I sat down with my PTI Damask Designs set and got to work in pure damask Heaven! Well I know it's kinda bold but I'm pleased with the result. The background is a piece of 'magic card' in silver that I picked up from a craft show so long ago. I think it's magic because when you emboss with detail clear ep it gives a foiled effect. (FYI: I think this could work with most sliver card and I was maybe conned here with buying this stuff!) Anyways I covered it in Teal Stazon (gosh that stuff stinks - I've never played with Stazon before!) 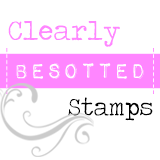 , stamped the damask stamp in Versamark and covered with detail clear ep. The result gives a foiled effect which is kinda cool. For the sentiment to stand out I braved the heat gun again and embossed with white detail ep. I love working with detail powders, they work so well! I decorated the inside too - just had to stamp once on scrap paper with that HUGE damask covered in Stazon as it was way too stronger colour before stamping on the inside as I wanted to stamp the sentiment over the top. I know the double stamping technique has a name but my mind has gone completely blank! LOL! I'm also going to enter this for the Inspiration and Themes Challenge #24 over at ILWS - it's a pretty late entry but it was this picture (the one on the right if you hadn't guessed!) that inspired me to go with the teal and black colour combo. That's all I've got on me for now so thanks so much for stopping by - I really, truly do appreciate it! Congrats!!! I would be on Cloud 9 too! That is awesome! And this card is absolutely STUNNING! Seriously, WOW! Best wishes from Morocco! Massive congrats Aimes - your couch money card was so clever and a very worthy winner!! Gorgeous Aimes!! Thanks for the sweet complement! I love the teal, bold and very beautiful! Such a great detail on the inside as well...now I may have to CASE you, haha! The anniversary card is stunning and very stylish. I love the layout. Wishing you loads of luck (not that you'll need it!) with this entry too! Congratulations - you sooo deserve it you clever thing. I love the card - what a great colour. 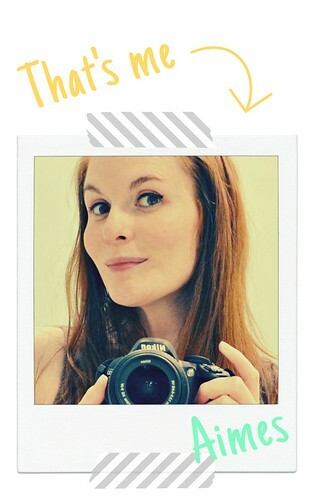 Just popped onto Nicole's blog & actually 'wooped'out loud lol You're famous - AGAIN!! Congratulations!!! Your card was pure genius! it has that elegant lOok...simple and beautiful! My goodness Aimes! this is just so lovely on the shiny paper! The damask is just so super! Yahooooooo!!! A humungous congrats!!!! Your cards are always gorgeous!!! Congratulations, Aimes!! Love your work, you rock! Oh wow, congratulations on your well deserved win and I am just loving your anniversary card, love the damask design! Fabulous card!!! Love the effect and congrats again! Aimes this is a wonderful anniversary card! Wow that is sooo cool! Stazon does smell bad but it sure gets great results! Congratulations on winning GSS!! I knew that card HAD to win when I saw it! You're so talented!